Amalfi is located on the Amalfi Coast between Positano and Salerno. It is a major stop on the ferries from Naples, Sorrento, Capri, Positano and Salerno. The city is small and surrounded by mountains. The seaport is where the ferry or bus lets you off. You walk through the ancient walls into the main piazza. Your first site is the steps leading up to the cathedral and the fountain in the piazza. Agropoli is a large town in Campania, south of Naples, south of the Amalfi Coast and south of Salerno. 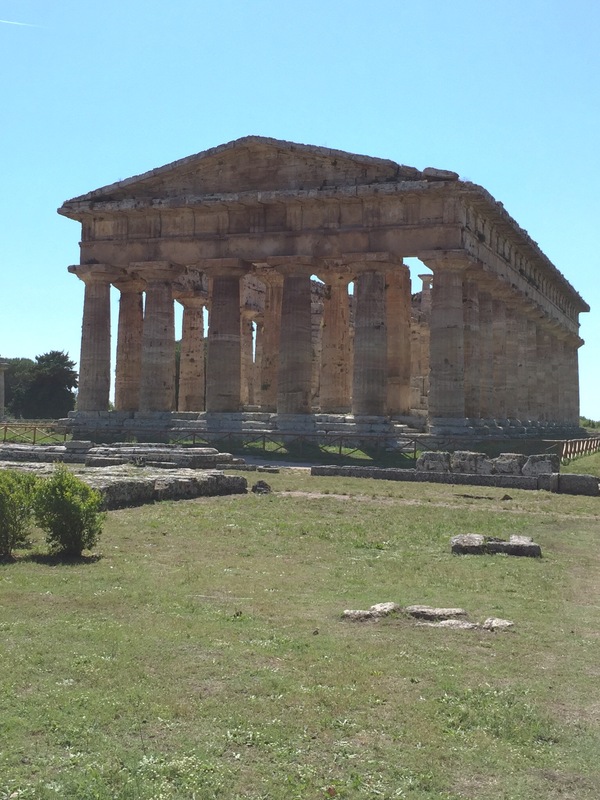 From Salerno you drive south past the ancient Greek ruins at Paestum to Agropoli. Agropoli, like many Italian cities has a modern part and an old city. The old city is high on a hill overlooking the sea. It has a wonderful castle with a moat (without water) and a drawbridge (no longer functional). We enjoy walking around the old city. As you approach you find yourself on a street of interesting shops leading up the hill. The street soon turns into a set of stairs leading into the old section. There is a wonderful church at the top. Turn right and follow the signs to the castle and views of the beach and sea. This is the beautiful and romantic land of Benvenuto al Sud! What a wonderful place for a passegiata. The beautiful mountain city of Castellabate is just a little farther south. Maratea is in Basilicata Italy. It is the only part of Basilicata that touches the Tyrrhenian Sea. The city is high on a mountain and has a peak above it with one of the largest Christ crosses in the world. The road up is twists and turns and hangs off the mountain in spots. This city is wonderful to walk around. It has a great main piazza with a beautiful old fountain. The shops and restaurants are fantastic. Come walk with us around romantic Maratea Basilicata, Italy. Pisciotta is a small mountain town in southern Campania. It is high above its marina on the sea. This town is very small but beautiful with only about 3,000 people living there. The views of the sea are amazing.We walked around this town from the main piazza up the many stairs to see the views. We were rewarded by discovering a wonderful restaurant with the most amazing views. The owner allowed us to come out on their balcony and photograph the sea. Later we returned for a magnificent romantic lunch. The people at the restaurant, I Tre Gufi (the three owls), were so friendly and the food and wine was delicious. As we entered the town we found a parking garage but there were no ticket machines to pay for parking. We had to leave the garage and go to the main piazza to find a bar that sold parking tickets (biglietto). After placing the biglietto in the car we were free to explore. At lunch we realized our parking tickets were about to expire. As I prepared to go buy another ticket, a man told me not to worry, the police were eating lunch as well and would not be issuing parking tickets. Italy is all about basic human needs like food. We love it. 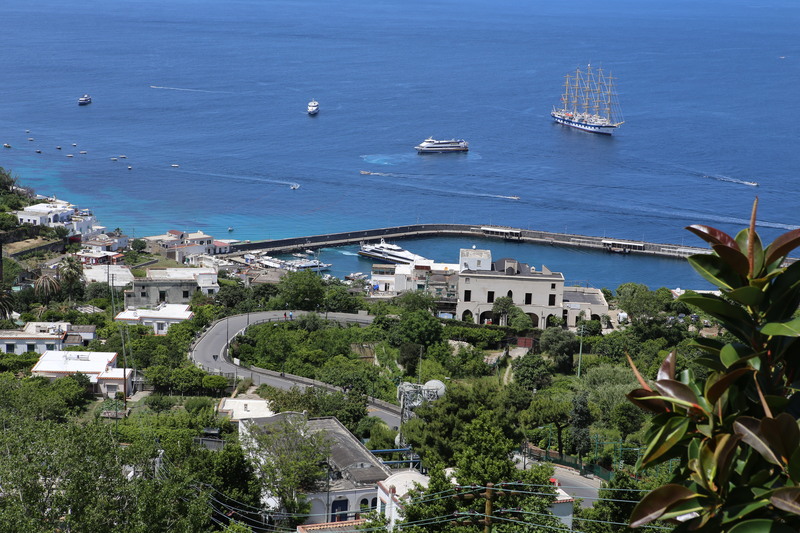 Sorrento is a popular tourist destination on Italy. 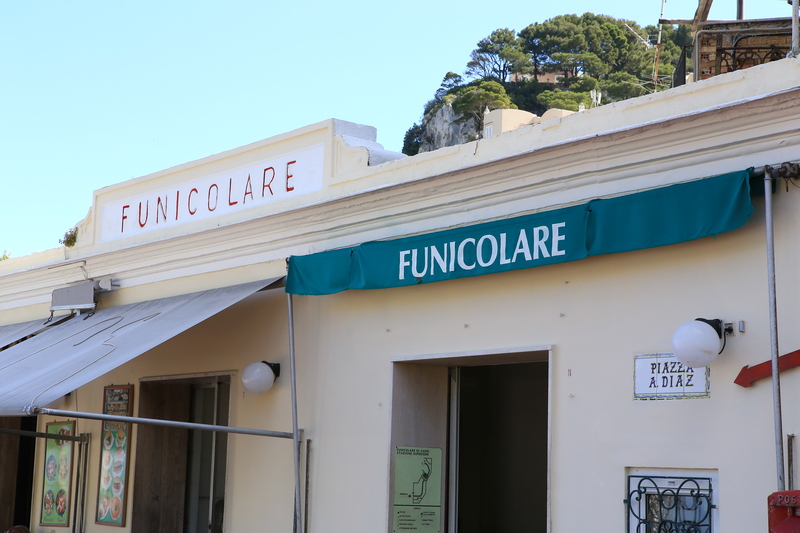 Sorrento is on the Tyrrhenian Sea and the Gulf of Naples. You can see the Isle of Capri looking south-west and Naples looking north. Mount Vesuvius, the famous volcano, can be seen to the north as well. 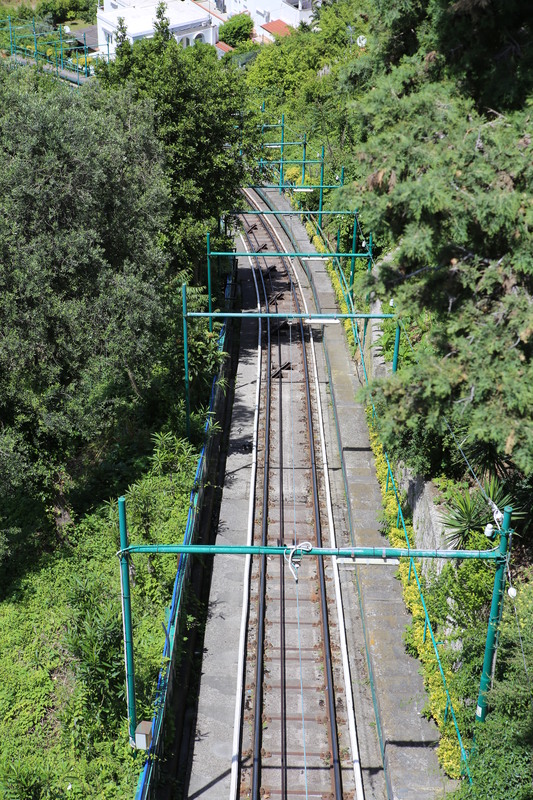 Sorrento is the western gateway to the famous Amalfi Coast Road. 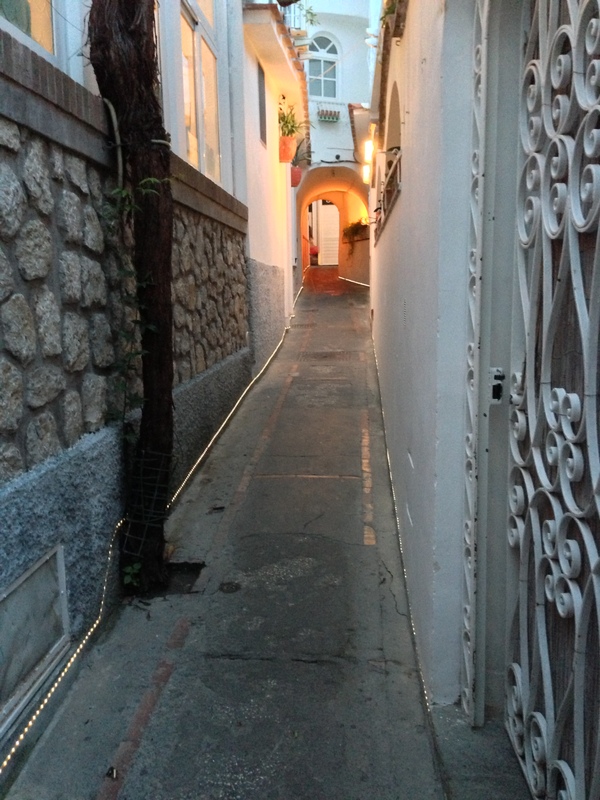 Salerno is at the other end with great cities in between like Amalfi and Positano.